Joung H. Lee, M.D., a leading international authority in the subspecialty of skull base surgery, comes from the Cleveland Clinic where he served as Professor and the Founding Director of the Cleveland Clinic Skull Base Surgery Center since July 1993. At the Cleveland Clinic, he has established one of the largest skull base surgery programs in the world, evaluating more than 200 new meningioma patients annually and having accumulated one of the largest experiences in the world in meningioma surgery, having surpassed over 1200 cases. His overall experience with complex cranial surgery is well over 4000 cases. He has pioneered many innovative surgical techniques which are currently used by many neurosurgeons throughout the world. He has been recognized since 2005 as one of the “Best Doctors in America”, and has been a recipient of the “Patient’s Choice Award” for over 10 years. He has treated patients from throughout the United States as well as from many foreign countries. He has authored more than 100 publications and edited two books, including a comprehensive textbook on meningiomas (Springer-Verlag, 2008, 616 pages). In the last 20 years, in addition to training Cleveland Clinic neurosurgery residents, he has trained over 24 research and clinical fellows in skull base surgery. His published outcomes data set the standard for the field of neurosurgery in complex cranial surgery. Dr. JH Lee was a recipient of Research Fellowship Award from the Neurosurgery Research and Education Foundation (1989-1991, now known as Research Foundation of the AANS). His other honors include Teacher of the Year Award (Cleveland Clinic Department of Neurosurgery, 1998), Thomas J. Watson Fellowship, Crutchfiled-Thomson-Gage Award, Razavi Clinical Scholarship Award, Mahaley Award (AANS Annual Meeting, 2002) and Integra Foundation Award (AANS Annual Meeting, 2008). He has served as an honored guest at various neurosurgical & skull base surgery societies in Korea, Japan, Mexico, China and Brazil, and has been invited as a visiting professor from over 20 national and international institutions. His clinical research in meningiomas has also been recognized with Synthes Awards (AANS Annual Meetings, 2007 & 2009, awarded to his fellows, Dr. B. Sade in 2007 and Dr. Jaesung Park in 2009) and Integra Foundation Award (AANS Annual Meeting 2006, awarded to his fellow, Dr. B. Sade). He is annually cited as one of the “Best Doctors in America.” He is also the former President (1999-2000), the Ohio State Neurosurgical Society. 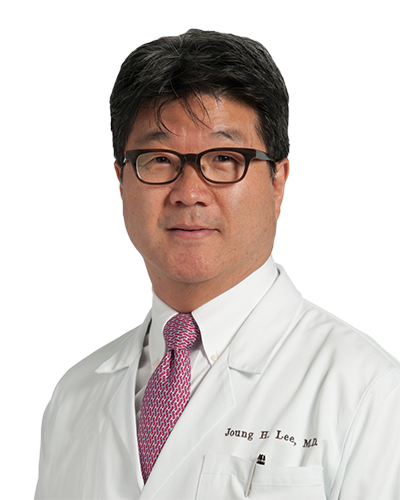 Dr. JH Lee received his medical degree from University of Southern California (1986), and completed his neurosurgery residency at University of Virginia (1993).